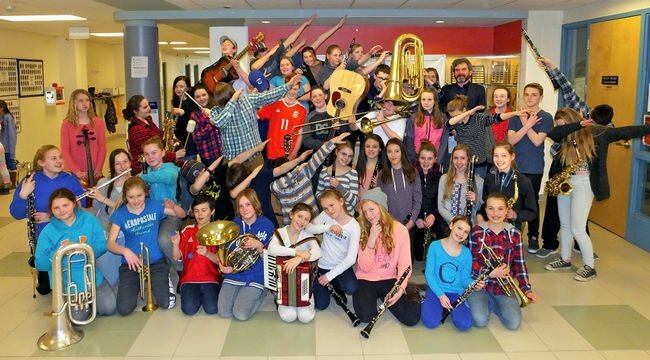 The MacPhail Tigers Concert Band, from MacPhail Memorial School in Flesherton, has qualified to attend the Nationals and needs your help! This award winning band with their amazing conductor/teacher Charlie Glasspool won a PLATINUM AWARD – the highest level of accomplishment – at MusicFest Regionals last month. Link to article in Own Sound Times. In an effort to help this fantastic group with their fundraising, I have made arrangements with Mr. Glasspool to donate $1 for every “like” on my facebook business page, Mark Murakami Royal LePage, to a maximum of $200. Tell your friends, encourage your co-workers…like Mark Murakami Royal LePage and let’s help the MacPhail Tigers Concert Band to proudly represent Grey County at Nationals 2017!